According to the World Coal Institute, India is the sixth largest electricity generating country as well as the sixth largest electricity consumer. Despite this, the electrification rate is only 75% as of 2009. The population estimated to have no access to electricity is 288.8 million. Some 140,000 Indian villages out of 586,000 remain to be electrified and in many of the officially electrified ones, quality of service is such that they do not resemble true electrification. About 625 million people do not have access to modern cooking fuels and traditional fuels still provide 80–90% of the rural energy needs.Geographic distribution of power generation capacity in India is unevenly dispersed with a mismatch in supply and demand in different regions. In India, the transmission and distribution (T&D) system is a three-tier structure comprising of distribution networks, state grids, and regional grids. The central transmission utility, PowerGrid India, operates approximately 98,368 km of transmission lines at 800/765kV, 400kV, 220kV & 132kV, as well as at over 500kV HVDC. Below are the different regional grids and the states in each of the grids.Northern region: Delhi, Haryana, Himachal Pradesh, Jammu and Kashmir, Punjab, Rajasthan, Uttarakhand and Uttar Pradesh.Eastern region: Bihar, Jharkhand, Orissa, Sikkim, and West Bengal.Western region: Dadra and Nagar Haveli, Daman and Diu, Chhattisgarh, Goa, Gujarat, Madhya Pradesh and Maharashtra.Southern region: Andhra Pradesh, Karnataka, Kerala, Puducherry and Tamil Nadu.North-eastern region: Arunachal Pradesh, Assam, Manipur, Meghalaya, Mizoram, Nagaland and Tripura. Though India has a huge renewable energy potential, availability of renewable energy sources is widely dispersed. In some states the potential for renewable energy is insignificant (e.g., Delhi), whereas some states have abundant renewable sources: wind energy is abundant in Gujarat, Karnataka, Maharashtra, Tamil Nadu, and Jammu and Kashmir; solar energy is concentrated in the northwest region of the country—in Gujarat, Rajasthan, Ladakh, Maharashtra, and Madhya Pradesh; and the small hydro potential in the country is concentrated in hilly states of Himachal Pradesh, Uttaranchal, Jammuand Kashmir, Arunachal Pradesh, and Chattisgarh.HydropowerThe hydropower installed capacity as of March 31, 2011, was approximately 37,367.4 MW.The estimated small hydro power potential in India is around 15,000 MW. Of this estimated potential only 16% has been developed so far for power generation. In India, 5415 sites with a capacity of 14,305.47 MW have been identified by Ministry of New and Renewable Energy (MNRE) for the establishment of small hydroelectric projects. The largest numbers of sites have been identified in Arunachal Pradesh with a total capacity of 1,333.04 MW, but the richest state in SHP potential is Himachal Pradesh with 547 sites of total capacity 2,268.41MW.Wind EnergyIndia’s wind resources have been mapped by the Centre for Wind Energy Technology (CWET). Sites are classified based on wind speeds (higher average wind speeds having higher class numbers). Most of the Indian wind sites are in Class 2 (200–300 W/m2 at 50 MAGL) and some are in Class 3, with relatively few sites in Classes 4 and 5. Despite the relatively low wind regimes by international standards, India has made significant progress in wind based power generation.The potential areas for generating power through wind mills are in the states of Tamil Nadu, Karnataka, Kerala, Gujarat, Andhra Pradesh, Kerala, Maharashtra, Rajasthan and Madhya Pradesh. As of August 31, 2011 the installed capacity of wind power in India was 14,989.89 MW, mainly spread across Tamil Nadu (6,286.02 MW), Maharashtra (2,400.05 MW), Gujarat (2,337.31 MW), Karnataka (1,773.25 MW), Rajasthan (1,678.62 MW), Madhya Pradesh (275.89 MW), Andhra Pradesh (199.15 MW), Kerala (35.30 MW), and West Bengal (1.1 MW).During the 2010-11 financial year, India added 2,349.50 MW of wind capacity for a total installed capacity of 14,156.39 MW, which is represented a 19.9% annual growth rate. More recent data showed that India’s wind capacity totalled 14,989.89 MW at the end of August, 2011, which represented 70.96% of India’s total renewable energy capacity. India’s robust domestic market has transformed the Indian wind industry into a significant global player.Geothermal EnergyThe geothermal resources in India have not been exploited commercially for heat or power generation. The geothermal resources, however, have been mapped, and the Geological Survey of India estimates the power generation potential to be in the order of 10,000MW. Most of the current usage of geothermal energy is for direct use, for example bathing and swimming. Dr Chandrasekharam estimates an installed capacity of 203MW (thermal), with an annual energy use of 1607 TJ/year and a capacity factor of 25%.Solar EnergyThe annual solar radiation over India ranges from 1,200 to 2,300 kWh/m2, with most of the country having radiation greater than 1900 kWh/m2/year, with about 300 clear sunny days. For comparison, in Germany, annual solar radiation ranges from 800 kWh/m2 to 1200 kWh/m2. The area required to meet India’s power energy needs (620 billion kWh in 2005) with solar photovoltaics (at an efficiency of 10%) is about 3,000 km2 (60 km by 50 km) which is 0.1% of the land area of the country.The amount of solar energy produced in India is less than 1% of the total energy demand. The grid-interactive solar power as of December 2010 was merely 10 MW. In 2009, solar power contributed approximately 27 GWh to the national electricity supply.In India, Cochin International Airport is set to become the first airport in the country to use solar power for running its utility grid system. Vikram Solar has installed 400 solar panels with peak capacity of 100kW at the airport in the state of Kerala and energy production is estimated at 148MWh a year, to be used primarily for the air conditioning facility. The project benefits from a 30% subsidy under the Jawaharlal Nehru National Solar Mission and the airport has invested some INR 6.3 million ($0.12 million), according to officials.Biomass EnergyBeing an agrarian nation, India has considerable potential to use many forms of biomass. The total potential for biomass-based power generation is estimated to be 21,000 MW. Current utilisation amounts to approximately 2,735.2 MW, with various technologies and projects currently in development to increase this. For example, Singapore-based AllGreen are investing in 10 biomass gasification plants in the country, expected to be completed within the next two years. Electricity Act (2003)It consolidates the laws relating to generation, transmission, distribution and trading, and use of electricity. It also promotes rural electrification through renewable energy sources stand-alone systems.National Action Plan on Climate Change (2008)It addresses the critical concerns of the country through directional shift in the development pathway, including the enhancement of both current and planned programmes.Jawaharlal Nehru National Solar Mission (JNNSM) (2009)The programme goals include creating an enabling policy framework for the deployment of 20,000 MW of solar power by 2022.National Mission for Enhanced Energy EfficiencyApart from creating an energy efficiency market, the mission aims to cut down the country’s annual energy usage by 5% by 2015, and carbon dioxide emissions by 100 million tonnes every year. The goal of the mission is to reduce energy usage of 10,000 MW by 2012.India Energy Policy (IEP)The IEP, adopted by the Indian government in 2006, is India’s comprehensive energy road map. Prepared by the Planning Commission of India, the IEP identifies multiple energy challenges, including meeting energy demands, securing supply, mitigating climate change, and promoting renewable and alternative energy. The IEP sets forth several policy choices to address these challenges. These choices comprise four strategies: energy diversification and efficiency; catalysing investment in energy diversification by competitiveness, regulatory intervention, energy pricing changes, and effective subsidies; strengthening diplomacy; and accountability for environmental externalities.India has been running a RE program, excluding large hydro, for more than two decades, and has policies that support RE at the central and state level. These domestic policies have been combined with participation in the Clean Development Mechanism (CDM) by renewable project developers with reasonable success. However, given the overall size of the energy system, the contribution of renewables is still small, for example, electricity from RES excluding large hydro in 2008 was 13 GW, out of a total of 168 GW.The government is making efforts to increase renewable energy supply. It has launched over 2000 RE projects under the CDM. The government has also adopted policies to promote RE. For example, the National Policy on Biofuels, adopted by the Ministry of New and Renewable Energy, furthers the IEP recommendation to substitute traditional fuels with biofuels. Biofuels are especially critical for achieving energy sufficiency in the transportation sector.The government has established specialised centers on technology development to promote solar and wind energy projects. It has also been advised by the National Biofuel Coordination Committee and the Biofuel Steering Committee to achieve at least a 20% ethanol blend in petroleum and diesel by 2017. Toward this end, the government has proposed a Union government tax exemption goal, and a uniform 4% state tax on biofuels.The benefits of electricity efficiency have been recognized in the 10th and 11th Five-Year Plans that outline measures for its implementation. Schemes for promoting EE during the 11th Plan include the Bachat Lamp Yojana (promoting the uptake of CFLs), the Standards and Labeling Scheme (covering all basic household appliances, as well as motors, variable speed drives and agricultural pump sets), Energy Conservation Building Codes (for new commercial construction), Agricultural and Municipal Demand-Side Management (DSM) Schemes. The 11th Plan recognises that restructuring incentives and support by shifting from supply driven programs to demand driven programs and technologies would be beneficial. The India Planning Commission has recognised the strengthening of the Bureau of Energy Efficiency (BEE) as a priority, and regulatory commissions in many states are considering demand-side options. Hence, aggressive steps for the promotion of EE measures are expected in the 12th Plan as well.Energy conservation Act 2001The Energy Conservation (EC) Act, signed in 2001, provides the legal and institutional framework for the government of India to promote energy efficiency across all sectors of the economy. A coordinating body called the Bureau of Energy Efficiency (BEE) was created to implement the EC Act. Furthermore, the Energy Conservation Act was amended (2010) to empower BEE to accredit energy auditors, to hire its own staff, and to empower the Central Government to issue energy savings certificates. 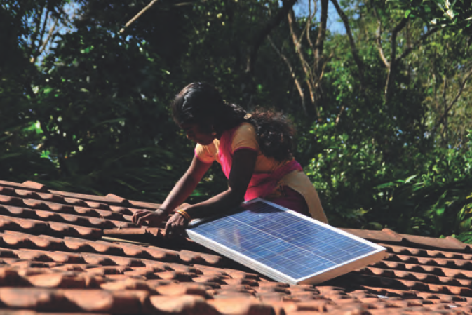 The need to improve energy efficiency was further emphasized in the National Action Plan on Climate Change (NAPCC), adopted in 2008.National Mission for Enhanced Energy Efficiency (NMEEE)Recognizing the importance of addressing issues related to climate change, as well as considering economic and social developmental as priorities, India outlined domestic actions towards climate change mitigation in its National Action Plan for Climate Change in 2008. The National Action Plan contains 8 National Missions that represent multi-pronged, long term and integrate strategies for achieving key goals in the context of climate change. These Missions are:National Solar Mission,National Mission on Enhanced Energy Efficiency,National Mission on Sustainable Habitat,National Water Mission,National Mission for Sustaining the Himalayan Eco-system,National Mission for a Green India,National Mission for Sustainable Agriculture andNational Mission on Strategic Knowledge for Climate Change.Each National Missions is institutionalized by a respective Ministry. The National Mission for Enhanced Energy Efficiency (NMEEE) operates under BEE. The Prime Minister’s Council on Climate Change approved draft principles of the NMEEE on August 2009 and the Union Cabinet approved its implementation framework on 24th June 2010, with dedicated funds to the tune of Rs. 235.35 crores (USD53 million).The draft of the 12th Five Year Plan (2012-2017) was published in 2012.The energy sector is covered in extensive detail, beginning with the achievements of the 11th Plan, including the total number of electrified villages increasing to 560,000, capacity additions of 54,964 MW, and the installation of a further 70,286 circuit km of transmission lines. A total capacity addition of 118,536 MW is planned for the 12th Plan period, including 30,000 MW of grid-connected renewable capacity, comprising of 15,000 MW wind, 10,000 MW solar, 2,100 MW small hydro and 2,900 MW of biomass/fuels. In addition, the 12th Plan targets the creation of a National Grid, through the development of a HVDC connector to the country's Southern electricity grid, as well as increasing HVDC and 765 kV links throughout the grid to improve capacity. Extensive energy policy reforms are recommended in the 12th Plan, including the strengthening of provisions for increasing renewable energy capacity, and incentives for low-cost transmission development to connect new renewable capacity. Finally, the plan sets notable new targets for energy efficiency in all sectors of the economy, with a projected yearly energy saving of 11,430 ktoe, compared to a business-as-usual scenario, as of 2016-17.National Offshore Wind Energy Policy 2013In 2013, the Ministry of New and Renewable Energy (MNRE) announced it would be acting as the nodal agency for a development project to exploit India’s offshore wind resources. Specifically targeting the states of Kerala, Karnataka, Goa, Tamil Nadu and Gujarat, the project aims to create a market for offshore wind power development in these regions, encourage indigenization of offshore wind energy technology, and promote spatial planning and management of maritime renewable energy resources in the country’s exclusive economic zone. Initial assessments estimate there is potential to establish two 1 GW wind farms, specifically along the coast of Rameshwaram and Kanyakumari in Tamil Nadu.As another indicator of the MNRE’s push to increase India’s wind power capacity, in September 2013 the Ministry announced it would be extending its Grid Interactive Wind Power Projects Generation Based Incentives scheme. Under this scheme, the GBI would be provided to wind electricity producers @Rs0.50 per unit of electricity fed into the grid for a period of not less than 4 years and a maximum period of 10 years, with a cap of Rs 100lakhs per MW, for the duration of the 12th Five-Year Plan period (2012-2017). Enhancing a city’s resilience capacity is key for policymakers where there are plans to redevelop cities into ‘climate-smart’ cities. Researchers suggest that this needs a comprehensive city-wide loss and damage assessment for cities in India. For empirical purposes, this study attempts a loss and damage assessment of Surat City in western India to floods. Surat is an industrial hub for both the textile and diamond industries. Interviews with workers from 145 textile-weaving businesses were completed, including focus group discussions and shared learning dialogues. 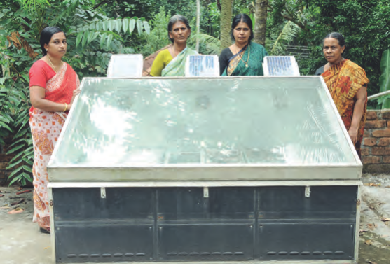 Researchers in this study put forward a budget-neutral approach for incentivising the adoption of solar pumps in India. The study also looks at parity between solar and electric pumps from economic perspective, i.e. NPV (net present value) of the expenses to be incurred by the farmer. It further explores mechanisms for promoting the deployment of solar pumps, and the need to assess the suitability of solar pumps in providing sustainable irrigation, before they are scaled up. India has developed to a stage where it is generally recognised that renewable energy is the most substantial and sustainable solution to its future needs. This paper provides an objective analysis of present day trends in renewable energy in India. Taking stock of current focus and initiatives, the author underscores the need for more of a thrust and innovative approach to accelerating the growth of the sector. The risks and vulnerabilities that people face from natural disasters are as much a product of their social situation as their physical environment. Vulnerabilities and capacities of individuals and social groups evolve over time and determine people’s abilities to cope with disaster and recover from it. Social networks, power relationships, knowledge and skills, gender roles, health, wealth, and location, all affect risk and vulnerability to disasters and the capacity to respond to them. This is a report of the 7th Annual Regional meeting of One World South Asia (OWSA). The purpose of the 2008 meeting was to establish the relevance of climate change and development. The paper identifies the current coping strategies for climate variability by the chronically poor in India and highlights some of the barriers to and opportunities for successful adaptation. This report outlines important gender issues in climate change adaptation and agriculture, presenting preliminary findings of an analysis carried out in India.